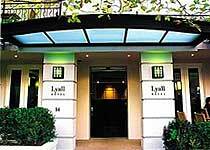 The 5 star Lyall Hotel is nestled in the exclusive South Yarra district of Melbourne's inner city. This luxury hotel is just a short saunter to the fashionable Melbourne inner city shops and world class restaurants of Toorak Road and Chapel Street. The hotel is just 10 minutes to the CBD, Melbourne's Arts precinct and celebrated Rod Laver Sporting Arena and Melbourne Park Tennis Centre. The hotel places all easily accessible by public transport. Experience the pampering of an exclusive retreat that the Lyall Hotel offers at this luxurious Melbourne location. Each suite at the Lyall Hotel features custom made contemporary oriental styled furniture. Select from accommodation options from open plan studio to one bedroom or two bedroom Suites with two baths. 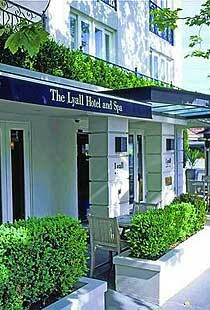 Enjoy the contemporary seasonal cuisine at Bistro Lyall, with seating indoors or al fresco on the terrace. Indulge yourself at the Lyall Champagne Bar, with a broad selection of French Champagnes, by the glass. For a light snack choose from a variety of tasty tidbits on their bar menu. 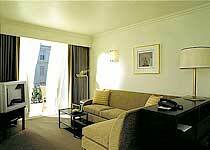 The Lyall Hotel may satisfy the desire for that luxury inner city retreat for your next stay in Melbourne. The Lyall Spa offers a calming and peaceful atmosphere for both men and women and its menu features an array ofspa rituals, therapies and prescriptive and beauty treatments. Using natural products and personalised sessions, this spa approaches the wellness experience holistically and offers advice and ongoing programmes to guests no matter how long your stay. It is stylishly arranged over three levels and takes in areas specifically for hydrotherapy as well as having both an indoor and outdoor area for relaxation before, during and after treatments with exclusive Sodashi and Payot products. Please enquire for a full menu of services provided by The Lyall Spa.